For centuries, cats have claimed their place in history, mythology, and culture—from the glorious Sphinx to Nyan Cat—as creatures of an implaceable captivating prowess that evokes both fear and adulation from those around them. It is with this same reverence that artist Soleil Ignacio crafts her own feline idols, in the guise of powerful women who demur with their purring confidence. The nine lives in these portraits celebrate the enduring influence of the mighty cat while also exploring the nature of audience enchantment. Suavely stained lips purse and pout, arms cross to display sharp claws, but it’s the smoky smeared eyes that ultimately entice. A departure from Soleil’s previously more demure depiction of blithe beauties, these “Exalted Souls” demand deep devotion, a pat of piety, and a scratch of solemnity with their richer acrylic and pastel smatterings, thick textures awash in gouache glazes, and starker details embedded with ink and graphite. Drawing from various feline families and their reputations (the benevolence of a Bengal tiger, the spotty spirit of a cheetah, the volumes of pride in a lion’s mane, or the enigma of an ebony panther), the girls are raised to the heights of goddesses on pedestals, ensnaring their audience’s gaze with elegance and grace. This is no accident, as one of the artist’s major inspirations is Egyptian lore surrounding cats, particularly the “Eye of Ra” herself, cat goddess Bastet. This daughter of the sun god was hailed for her affinities to divine protection, fertility, agility, fidelity, and spiritual strength. Egyptian civilizations observed exorbitant cat-related customs including a death penalty for the maltreatment of the domestic creature, a ritualistic shaving of eyebrows when mourning for their pets, even cat mummification (along with precious jewelry and treasures separate from those of their human masters). The prevailing cult of cat lionization, though rooted in the animal’s ability to rid ancient Egypt of vermin and vipers, was not isolated to that region. Soon, the cat, with its sly movements, calm arrogance, and regal mystery symbolized supremacy in kingdoms spanning various eras, areas, and new ideas—from Siam to Salem, witches to Winston Churchill—all while retaining their nonchalant outlook, unfazed by the societies they constantly caught in fixed fascination. Their status has evolved from cult worship and religious companionship into the likes of Garfield, Catwoman, Mewtwo, the Pussycat Dolls, and endless internet meme material. Now, they return to their more feral essence in these nine works of art. 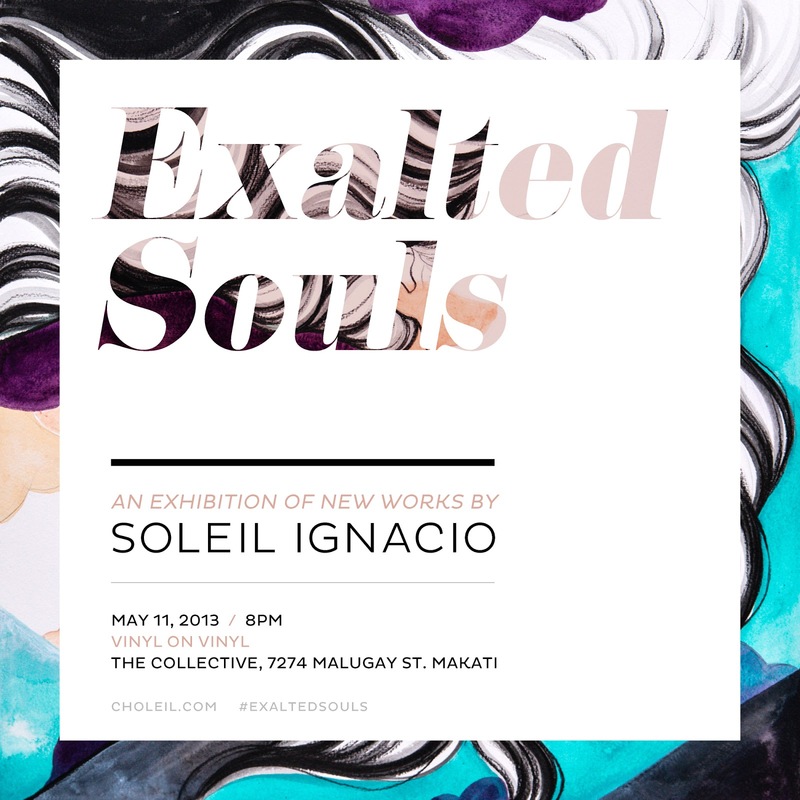 Slave to her own fluffy kitty’s beguiling demeanor, Soleil Ignacio offers her first ever solo exhibit for viewers to pause in veneration of her femme figures’ feline felicity. The secret to comprehending these independent ladies (as with their cat counterparts) is to regard them with sincere respect, imbibe their virtues, and listen to their silence. After that, their unfurling tales will tell all.